Although their campaign has concluded, if you would still like to make a donation to support Project Paw Print, you may always do so here. What is Project Paw Print? 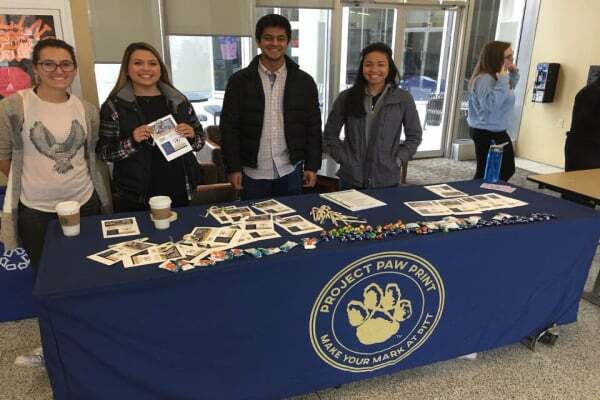 Project Paw Print is a student-led Philanthropy Council that is dedicated to educating the Pitt community on the importance of philanthropy, recognizing and thanking those who have chosen to give back, and helping their fellow students give back to Pitt. We are paying it forward! Project Paw Print is about supporting each other, building a community, and making our mark on the University. We are raising money for the Senior Legacy Student Resource Fund – an endowed fund that the class of 2016 helped to establish. We want to help grow the endowment so we can support more deserving students in the future. 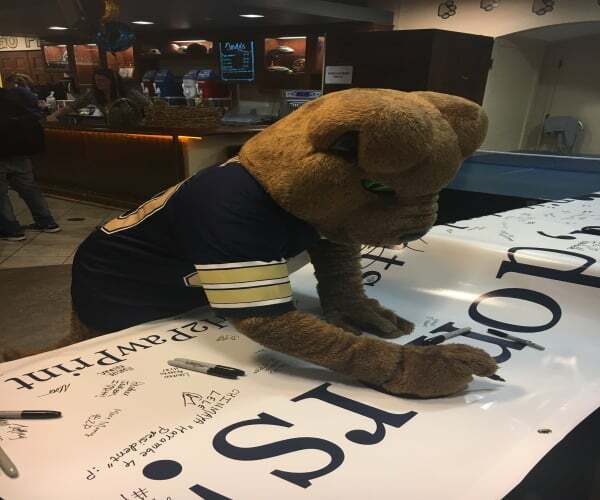 The Senior Legacy Student Resource Fund is our way of supporting the Pitt community and saying thank you to the University. The fund will help a rising Pitt sophomore, junior, and/or senior student pay for books, lab fees, travel, and other educational expenses. These are expenses every student has and if we can unite to make someone's semester a little less stressful by donating a few dollars...well that's a no brainer! Why is Project Paw Print important? Pitt has supported us since we stepped foot on campus. The University gave us the tools we needed to grow both academically and personally. Each one of us soon-to-be graduates have been supported by both Pitt and each other during our precious time here on campus. Project Paw Print is about uniting our class so we can pay it forward and make our mark on campus. It is a way for us to strengthen the Pitt community, create a culture of philanthropy and impact Pitt students for years to come. The class of 2016 began paving the way and we want to honor their accomplishments, and build upon them. 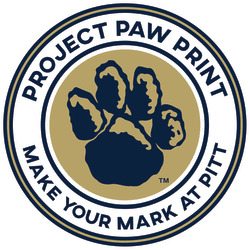 Our goal is to make Project Paw Print and the Senior Class Gift a long-standing tradition at the University of Pittsburgh. 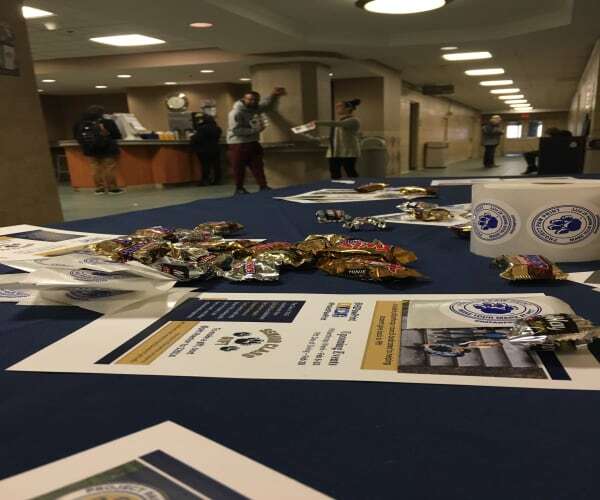 Our goal is to raise money for the Senior Legacy Student Resource Fund, which will help a rising Pitt sophomore, junior, and/or senior student pay for books, lab fees, travel and other educational expenses. The more we raise, the more students we can impact. However, this is about more than raising money. We are also trying to come together to create a culture of philanthropy and strengthen the Pitt community. Make Your Gift: No matter the size, your gift will make an impact, get us closer to our goal, and help future students focus on accomplishing their dreams of graduating from Pitt. Spread the word: Almost all of us are involved in one or more clubs. Let them know how they can make their mark by showing them our website or sharing this page with them! Social Media: Take a few moments to share our pages, engage with our posts, or even give us a shout out! We are on Facebook, Twitter, and Instagram. The Class of 2017 Student Philanthropy Council would like to thank you for supporting Project Paw Print! With your help, we will be able to support Pitt students for many years to come. Class of ’17, let’s use these last few weeks to pay it forward and make our mark! We will be the class of 2017 forever. Giving in honor of our class year will help commemorate our Pitt experience. Your $50 gift could help a student get materials like lab goggles, binders, and notebooks so they can make their mark at Pitt. Your $100 gift will help a student pay for lab fees, book access codes, and student activity fees so they start changing the world! Your $250 dollar gift could help pay for a semester’s worth of books!